The biggest open secret in the world has just been tweeted by the world’s biggest news aggregator. Matt Drudge drives so much web traffic that he basically has his own gravity, and now the often-reclusive figure has sent out a message that should be a wake-up call for those who have been broadcasting news about the threat that ISIS poses. Following their mass murder spree in Paris, the terrorist group is supposedly planning attacking inside America, all while taking supposedly also taking on the biggest military powers in the world during their protracted struggle for an Islamic State caliphate inside Syria and Iraq. This bombshell tweet echoes numerous reports from inside the alternative media pointing out the sick truth behind the shocking resurgence of terrorism. 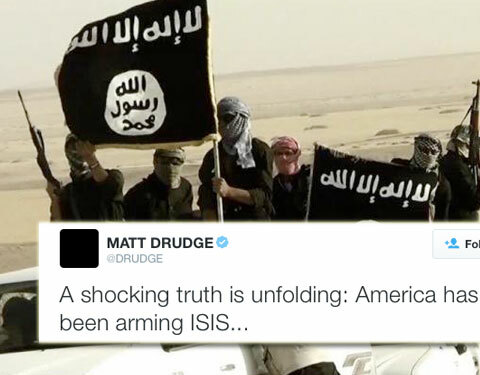 Influential conservative news aggregator Matt Drudge issued a tweet on Tuesday acknowledging the growing body of evidence that suggests that the U.S. has participated in arming the terror group ISIS. Drudge’s realization follows nearly two years of Truth in Media coverage of how U.S. foreign policy is enabling terrorism in Syria and Iraq and has led to the rise of ISIS. In addition to numerous data points hinting at the U.S. support for terrorists in order to undermine and destabilize Bashar al-Assad, an important memo has come to the surface.The declassified Pentagon/Defense Intelligence Agency memo from 2012 [see PDF] reveals that Turkey as well as the Western and Arab states who are overtly backing the “Free Syrian Army” rebels have also been sponsoring a burgeoning Islamic State that stands to take over Syria and Iraq for the interests of the Sunni Muslim factions that dominate much of the Middle East and who oppose Shiite Muslim strongholds at all costs. The sheeple have enough of a workload finding Christmas presents–they can’t be bothered to use their brains for anything worthwhile. Anyone even remotely in the know seen this long ago…. 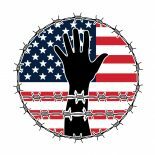 This entry was posted on November 26, 2015 by conspiracyanalyst in American Foreign Policy, Proxy / Covert Wars, Terrorism, US News, War & Peace and tagged ISIS.